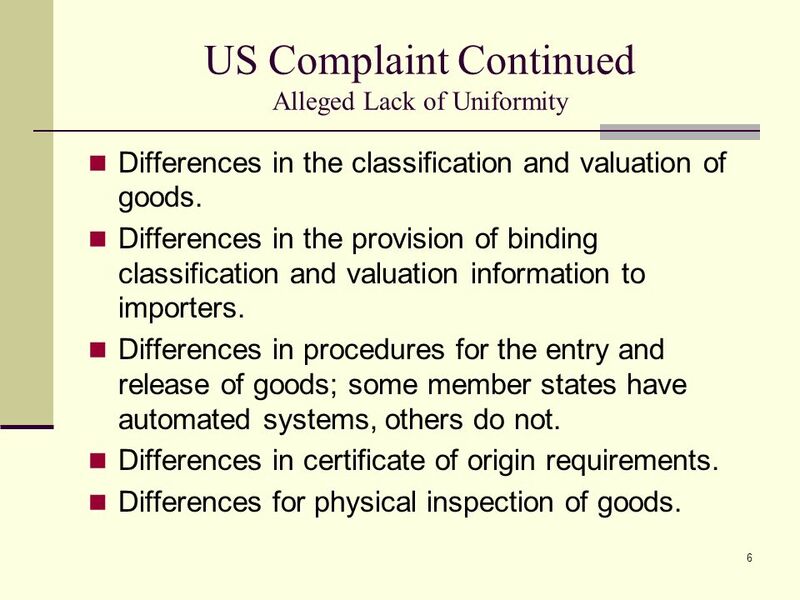 US Complaint Over the EU Customs System. 1 US Complaint Over the EU Customs System. PENDING WTO CASE Dzifa Acolatse ● Jean-Guy Afrika ● Sarah Ayers ● Aleksandra Ciric Good evening, everyone. 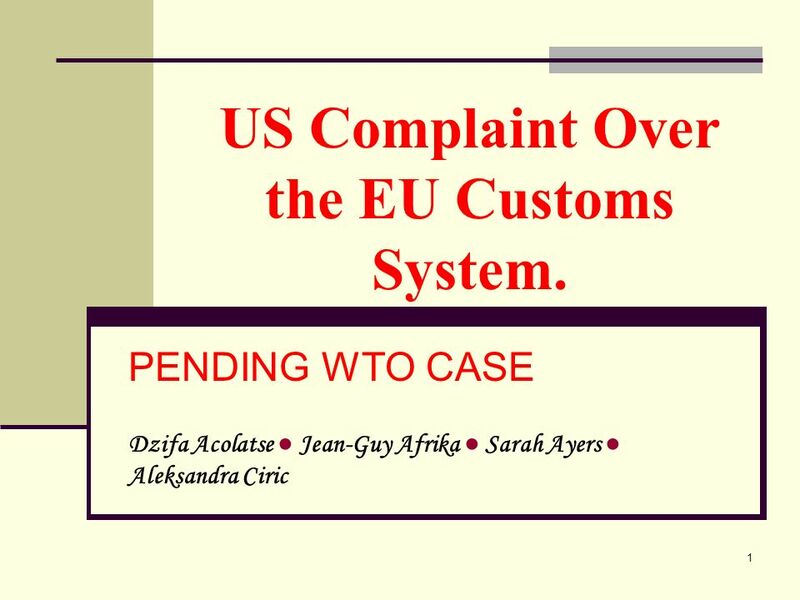 Our group will be presenting on the pending WTO case of the US’ complaint over the EU Customs System. First, Dzifa will be presenting the background to the case. Aleksandra will talk about the US’ position regarding their complaint about the EU customs system. Jean-Guy will then speak on the critical issues of the pending case, followed by Sarah giving a general description of how the EU’s law and customs systems works. This will then flow into Aleksandra’s discussion of the EU’s counterpoint to the US complaint, and our group will conclude with the main questions of this case, as well as interject various observations. Violates WTO Customs Law Lack of Uniformity in Implementing Customs Rules Throughout the 25 EU Member States Lack of Procedures for Prompt EU-Wide Review The United States maintains that this lack of uniformity in implementing customs rules throughout the 25 EU member states, coupled with lack of procedures for prompt EU-wide review, can hinder U.S. exports, particularly those of small to mid-sized businesses. 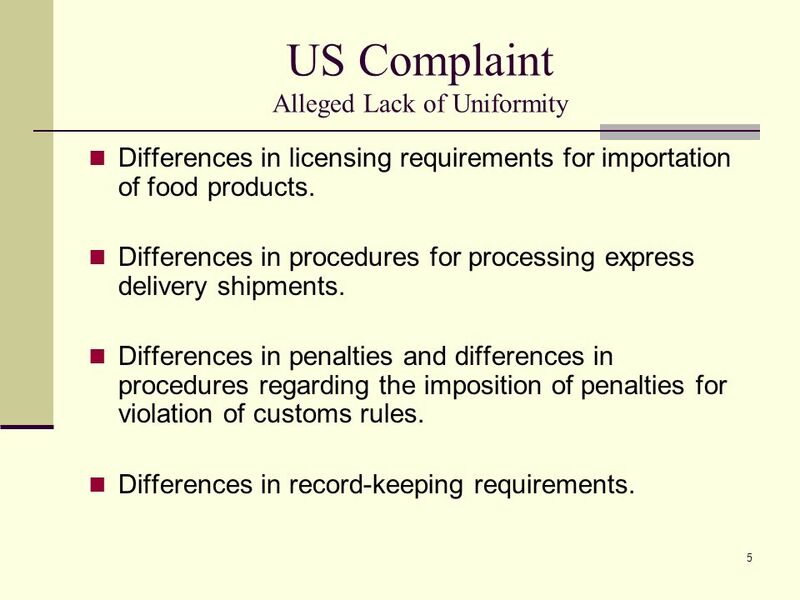 The lack of uniform customs administration by the EU affects U.S. producers, farmers, and exporters in a number of important ways. For example, goods may be classified differently and thus be subject to different tariffs depending on the EU member State through which they are imported. Similarly, a U.S. exporter may be able to obtain binding guidance in one member state on how its goods will be valued for tariff calculation purposes. But the exporter may not be able to rely on that guidance in another member State; indeed in some member States the exporter may not be able to obtain binding valuation guidance at all. Currently, WTO rules require WTO member states to administer their Customs laws in a "uniform, impartial and reasonable manner." They also require members to provide tribunals for prompt review and correction of administrative action relating to customs matters. The EU has just recently expanded from 15 member states to 25 member states (as of May 1, 2004). The trade barrier inherent in the lack of a uniform customs administration expanded when the new member states joined. Enhancing trade facilitation is a key part of the DOHA Development Agenda. “Over the past months, the U.S. has tried to work with the EU to address the concerns of U.S. exporters… and although the EU trade commissioner and his staff have tried to help with individual problems, it has become clear that the allocation of authorities within the EU and even the commission has precluded achieving the necessary systematic solutions.” ~ Robert Zoellick According to the written statement issued by the USTR's office, there are three reasons for requesting WTO consultations now. As an indicator of the level of trade potentially affected by this barrier, "it should be noted that US goods exports to the EU-25 totaled $155.2 billion in 2003. "The United States expects that pressing a major player in world trade to administer its customs laws and regulations in a uniform manner will help to advance that part of the agenda," According to the U.S. Trade Representative, ambassador Zoellick "The U.S. will continue to work with the EU to try to resolve its concerns over their Customs administration and hope that the consultations will help address some of the problems faced by US exporters, and in the process strengthen the integration of the EU." Six other WTO Members -- Argentina, Australia, Brazil, India, Japan and Taiwan -- asked to join the consultations as third parties, demonstrating the level of concern about the EU system, but the EU rejected those requests. Differences in licensing requirements for importation of food products. Differences in procedures for processing express delivery shipments. Differences in penalties and differences in procedures regarding the imposition of penalties for violation of customs rules. Differences in record-keeping requirements. The US filed its complaint with the WTO against the EU in response to growing complaints from US business interests in the express courier, agriculture, high-tech, and textiles sectors. The alleged lack of uniformity in EU customs administration relates to numerous issues, such as: Differences in licensing requirements for importation of food products. Differences in procedures for processing express delivery shipments. Differences in penalties and differences in procedures regarding the imposition of penalties for violation of customs rules. Differences in record-keeping requirements. Differences in the classification and valuation of goods. Differences in the provision of binding classification and valuation information to importers. Differences in procedures for the entry and release of goods; some member states have automated systems, others do not. Differences in certificate of origin requirements. Differences for physical inspection of goods. Differences in the classification and valuation of goods. Differences in the provision of binding classification and valuation information to importers. Differences in procedures for the entry and release of goods; some member states have automated systems, others do not. Differences in certificate of origin requirements. Differences for physical inspection of goods. All of these differences create a challenge for US businesses that are keen on market access to emerging markets within the EU. “Although the EU is a customs union, there is no single EU customs administration. 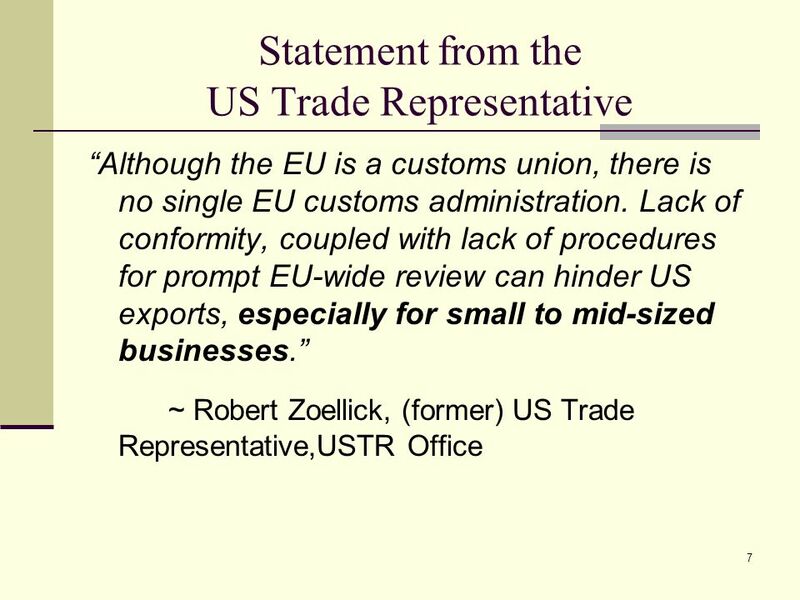 Lack of conformity, coupled with lack of procedures for prompt EU-wide review can hinder US exports, especially for small to mid-sized businesses.” ~ Robert Zoellick, (former) US Trade Representative,USTR Office The US Trade Representative at the time, Robert Zoellick said in particular: “Although the EU is a customs union, there is no single EU customs administration. 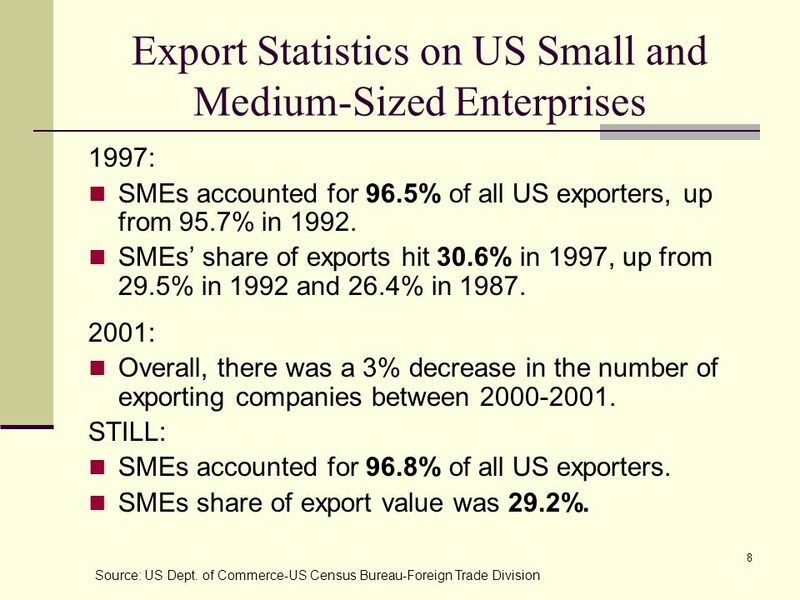 Lack of conformity, coupled with lack of procedures for prompt EU-wide review can hinder US exports, especially for small to mid-sized businesses.” So why was he more concerned about small to medium-sized enterprises more so than about large corporations? Is that he feels that larger corporations have the money and legal means to take care of themselves, or is there something more to his statement? Regarding Article X:1: Laws, regulations, judicial decisions and administrative rulings of general application pertaining to the classification or the valuation of products for customs purpose shall be published promptly in such a manner as to enable governments and traders to become acquainted with them. Regarding Article X:3(a): Customs laws must be administered in a uniform, impartial and reasonable manner. Regarding Article X:3(b): A forum must be maintained for prompt review and correction of administrative actions relating to customs matters. 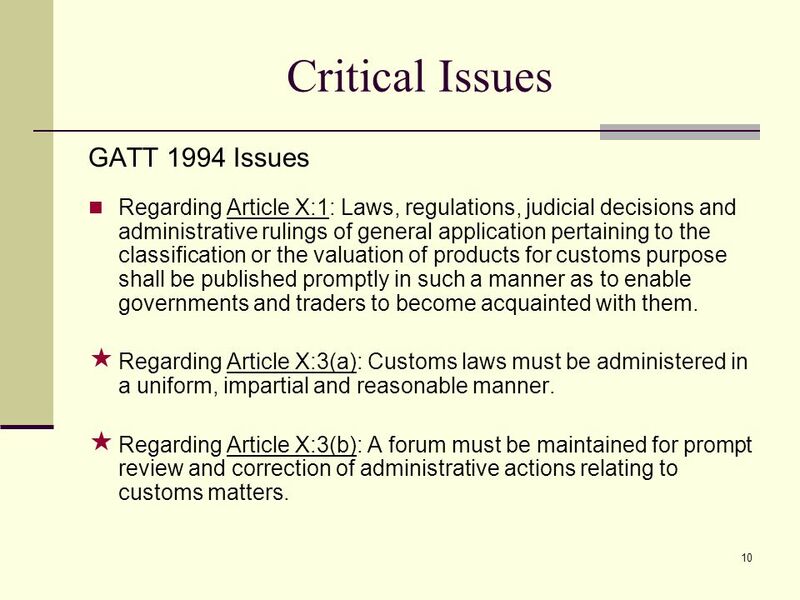 This dispute concerns two main GATT 1994 Issues, which are: Regarding Article X:1: Laws, regulations, judicial decisions and administrative rulings of general application pertaining to the classification or the valuation of products for customs purpose shall be published promptly in such a manner as to enable governments and traders to become acquainted with them. However, the two MAIN and MOST IMPORTANT issues are the following (denoted by stars): Regarding Article X:3(a): Customs laws must be administered in a uniform, impartial and reasonable manner. Regarding Article X:3(b): A forum must be maintained for prompt review and correction of administrative actions relating to customs matters. 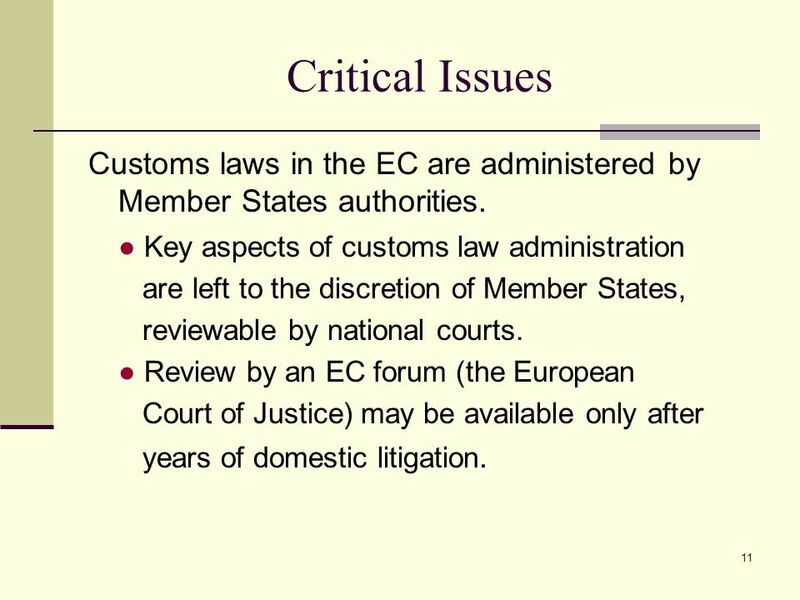 11 Critical Issues Customs laws in the EC are administered by Member States authorities. ● Key aspects of customs law administration are left to the discretion of Member States, reviewable by national courts. ● Review by an EC forum (the European Court of Justice) may be available only after years of domestic litigation. 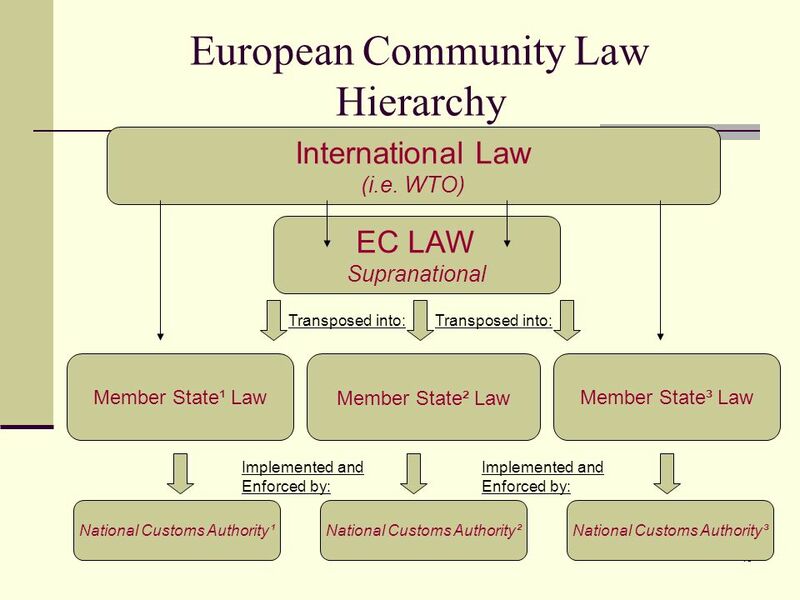 Customs laws in the EC are administered by Member States authorities. ● Key aspects of customs law administration are left to the discretion of Member States, reviewable by national courts. ● Review by an EC forum (the European Court of Justice) may be available only after years of domestic litigation. 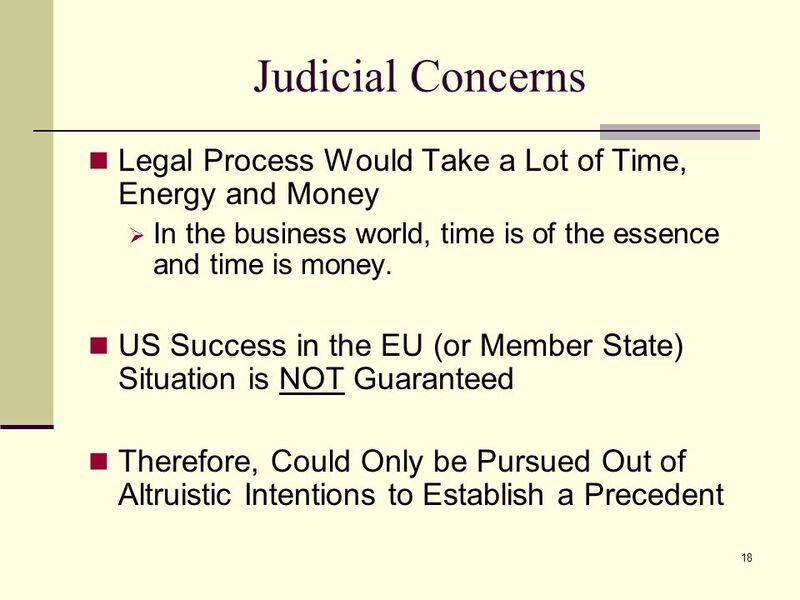 If the US or US company has a problem in regards to a customs issue, they must first bring that complaint before the national court the country in which the problem has occurred, then if the issue is unresolved, the dispute can be sought to be brought before the European Court of Justice—all very time consuming. 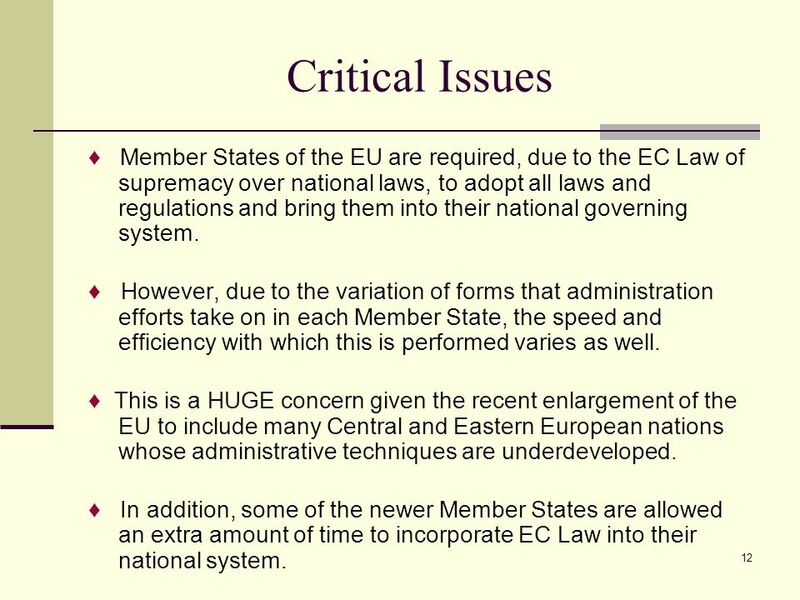 12 Critical Issues ♦ Member States of the EU are required, due to the EC Law of supremacy over national laws, to adopt all laws and regulations and bring them into their national governing system. ♦ However, due to the variation of forms that administration efforts take on in each Member State, the speed and efficiency with which this is performed varies as well. ♦ This is a HUGE concern given the recent enlargement of the EU to include many Central and Eastern European nations whose administrative techniques are underdeveloped. ♦ In addition, some of the newer Member States are allowed an extra amount of time to incorporate EC Law into their national system. Member States of the EU are required, due to the EC Law of supremacy over national laws, to adopt all laws and regulations and bring them into their national governing system. ♦ However, due to the variation of forms that administration efforts take on in each Member State, the speed and efficiency with which this is performed varies as well. ♦ This is a HUGE concern given the recent enlargement of the EU to include many Eastern European nations whose administrative techniques are underdeveloped. ♦ In addition, the newer Member States are allowed an extra amount of time to incorporate EU Law into their national system. All these issues cause logistical delays for US business. The Community's basic customs legislation is contained in the Customs Code (Council Regulation (EEC) No 2913/92) and the Code's implementing provisions (Commission Regulation (EEC) No 2454/93). 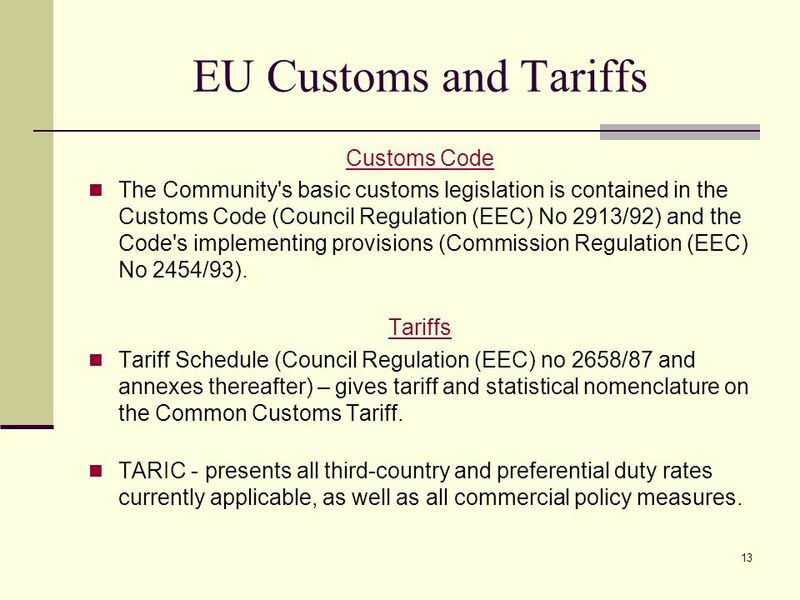 Tariffs Tariff Schedule (Council Regulation (EEC) no 2658/87 and annexes thereafter) – gives tariff and statistical nomenclature on the Common Customs Tariff. TARIC - presents all third-country and preferential duty rates currently applicable, as well as all commercial policy measures. The EU does have a set of “uniform” customs laws, which the Member States are *required* to transpose an EU regulations into their own national laws—and then abide by them. Customs Code: -The Community's basic customs legislation is contained in the Customs Code (Council Regulation (EEC) No 2913/92) and the Code's implementing provisions (Commission Regulation (EEC) No 2454/93). -Implementing powers are conferred on the Commission which is assisted by a Customs Code Committee. The Member States and the European Commission consult formally about the management of tariff quotas in the economic tariff questions section of the Customs Code Committee. Implementation is not synonymous with “enforcement”. Tariffs: The "tariff" is a collection of laws—as opposed to a single, codified law itself. -Tariff Schedule (Council Regulation (EEC) no 2658/87 and annexes thereafter) – gives tariff and statistical nomenclature on the Common Customs Tariff. -The TARIC presents all third-country and preferential duty rates actually applicable, as well as all commercial policy measures. TARIC includes information on tariff suspensions, tariff quotas, preferential treatment, anti-dumping and countervailing duties, import prohibitions and restrictions, quantitative limits, export surveillance, licenses and certificates. European Commission - Administrative and Executive Body Commission draws up legislation proposals and presents it to the European Council and European Parliament for approval. Directorate-General for Taxation and Customs Union Division (DGTAXUD) Responsible for the management and implementation of customs and tariffs. Commission is entrusted by EU Treaty to supervise the compliance of EC laws and regulations by Member States. If the Commission feels that a Member State has failed to comply with EC law, then the Commission can bring the Member State before the European Court of Justice. France: Duty rate on dark and Virginia-type tobacco cigarettes The European Commission is the administrative and executive body of the European Union. The European Commission is broken down into various portfolios, referred to as “Directorate Generals” or DGs. In regards to customs and tariffs, the DG in charge of their management is the Directorate-General for Taxation and Customs Union Division. Its responsibilities include, but are not limited to: -maintaining the tariff and customs database, -providing Member States new reference data whenever there is a change, particularly at the end of each year, -establishing consolidated reports on tariffs for the whole Community, both on a monthly and an annual basis. The Commission is entrusted by EU Treaty to supervise the compliance of EC laws and regulations by Member States. In doing so, they are acting as a “facilitator” rather than an “accuser”. If the Commission feels that a Member State has failed to comply with EC law, then the Commission can bring the Member State before the European Court of Justice. 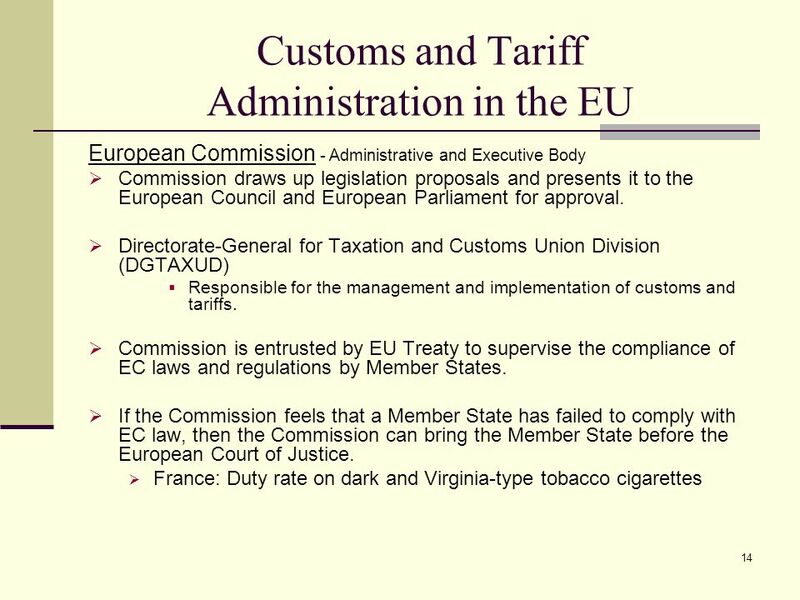 For example: In 2002, the European Commission brought France before the European Court of Justice for putting a 20% higher excise duty on Virginia-type tobacco cigarettes than what was placed on dark-type tobacco cigarettes. An overwhelming number of dark-type cigarettes are manufactured locally in France, while most “Virginia-type” cigarettes are imported. Then in July 2003, the Commission had to again push France to abide by the 2002 European Court of Justice ruling that they had been in breach of EU law, and threatened to impose monetary penalties. 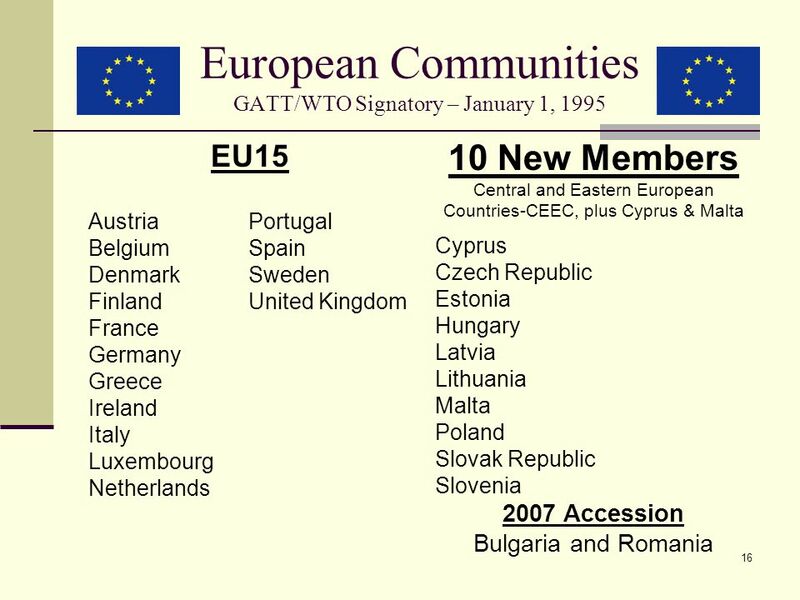 Austria	Portugal Belgium	Spain Denmark	Sweden Finland	United Kingdom France Germany Greece Ireland Italy Luxembourg Netherlands 10 New Members Central and Eastern European Countries-CEEC, plus Cyprus & Malta Cyprus Czech Republic Estonia Hungary Latvia Lithuania Malta Poland Slovak Republic Slovenia 2007 Accession Bulgaria and Romania So….just who are all these “Member States”? The list of EU members are not something that the average person can roll off their tongue at the drop of a hat; therefore, I feel it is a good idea to list these nations while pointing out a few details. The EU became a de facto signatory of the GATT on January 1, In addition, each member state, on its accord, has signed onto the GATT/WTO. Even the ten new member states are WTO members as it was part of their accession requirements. As you can see, this is a VERY diverse group of countries. And 2007 will bring the accession of Bulgaria and Romania. 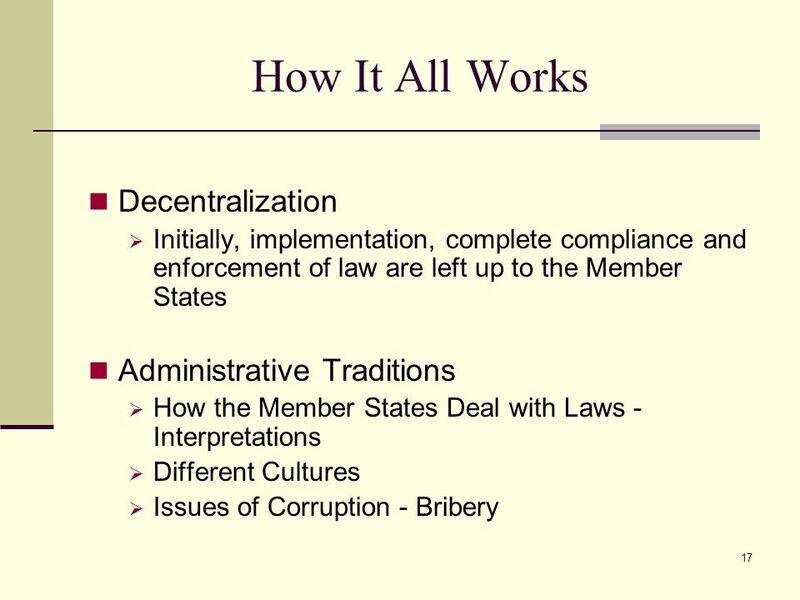 Initially, implementation, complete compliance and enforcement of law are left up to the Member States Administrative Traditions How the Member States Deal with Laws - Interpretations Different Cultures Issues of Corruption - Bribery The European Union is a works on the premise of decentralization. Enforcement of EC Law is left up to the member states. Power is therefore still kept within the member states. The European Union works simultaneously on along horizontal and vertical relations. 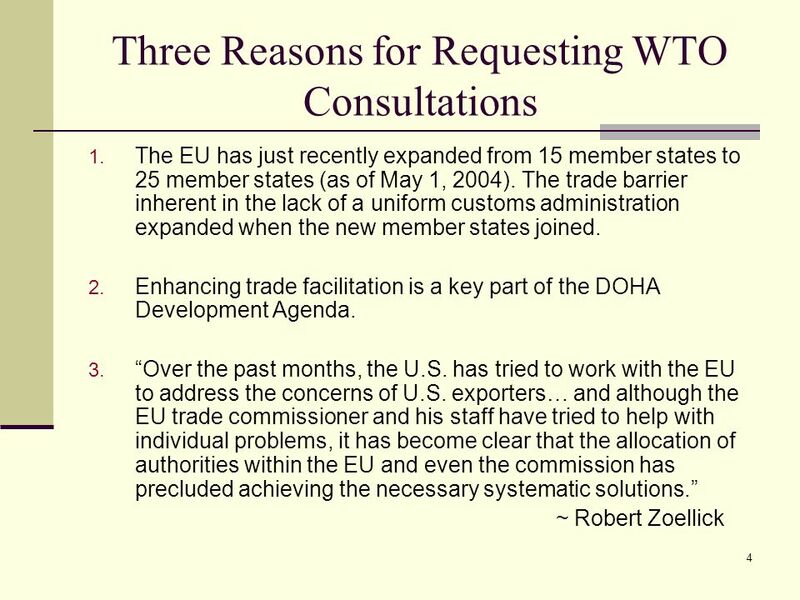 What the US has complained about is the fact that there is not one single administrative body in Brussels that is in full competence of EC customs. As I mentioned just before, the EU operates in such a way that the administration of and competence in customs remains within each member state. Therefore, each member state is allowed to implement EC customs laws on their own terms. However, every member state is of course quite different in its administrative processes; some more orderly and advanced than others. Thus each member state may interpret the customs laws, including nomenclature and so forth, differently given. In addition, all the member states have varying cultures and traditions which then influence their views on trade. One of the major issues that also comes up, is the issue of corruption. Some member states have a historical tradition (or maybe history of turning a blind eye) of customs officials accepting bribes, which in turn allows exporters to pay lower tariff charges. These things combine to ultimately make a trading minefield for small to medium-sized businesses in the US that would like to export to various countries within the EU. The EU Trade Commissioner Pascal Lamy stated that the EU, “regret(s) the US move to bring this issue to the WTO rather than using the bilateral EU-US Joint Customs Council, which would have provided a better forum for resolving these issues.” However, the EU believed that it should proceed with participating in the WTO consultations since the EC was of the opinion that the Community was in fact complying with all WTO rules. EC dismissed the US claim as “having no legal basis.” The EU Trade Commissioner Pascal Lamy stated that the EU, “regret(s) the US move to bring this issue to the WTO rather than using the bilateral EU-US Joint Customs Council, which would have provided a better forum for resolving these issues.” However, the EU believed that it should proceed with participating in the WTO consultations since the EC was of the opinion that the Community was in fact complying with all WTO rules. Agreement between the European Community and the US on Customs Cooperation and Mutual Assistance in Customs Matters. Article 22: Established a Joint Customs Cooperation Committee. Obligations: 1. See to the proper functioning of the agreement; 2. Examine all issues arising from its application; 3. Take measures necessary for customs cooperation in accordance with the objectives of this agreement; 4. Exchange views on any points of common interest regarding customs cooperation, including future measures and the resources for them; 5. Recommend solutions aimed at attaining the objectives of this agreement. 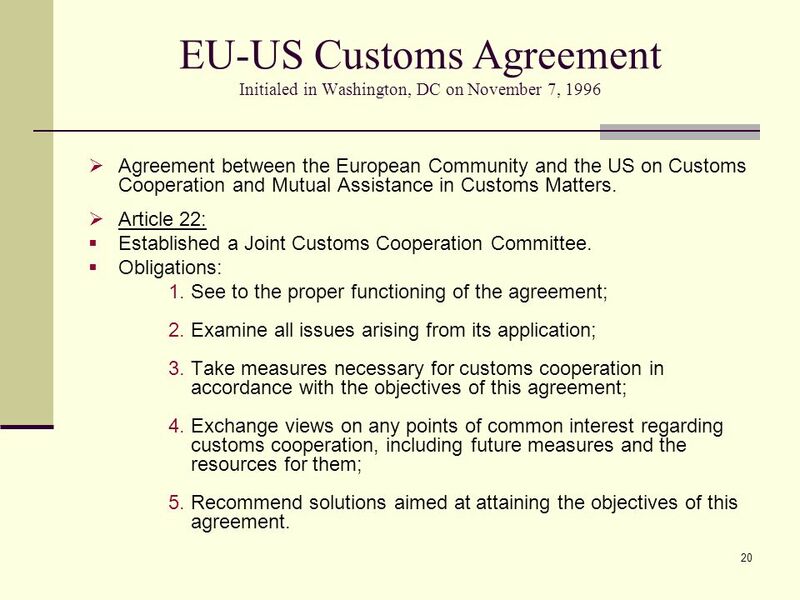 On November 7, 1996, a EU-US Customs Agreement on co-operation was signed and went into effect in 1997. In April 2004, the European Community and the United States expanded the scope of the 1997 co-operation agreement by concluding an agreement to include transport security co-operation, and in particular co-operation as regards the US Container Security Initiative within the scope of the EU/US customs co-operation and relations. The EU has brought up that according to Article 22 of this agreement states that a joint committee with obligations which focused on co-operation in resolving any issues that may arise regarding EU customs. This slide contains the list of obligations of the committee under Article 22 of the 1997 agreement. 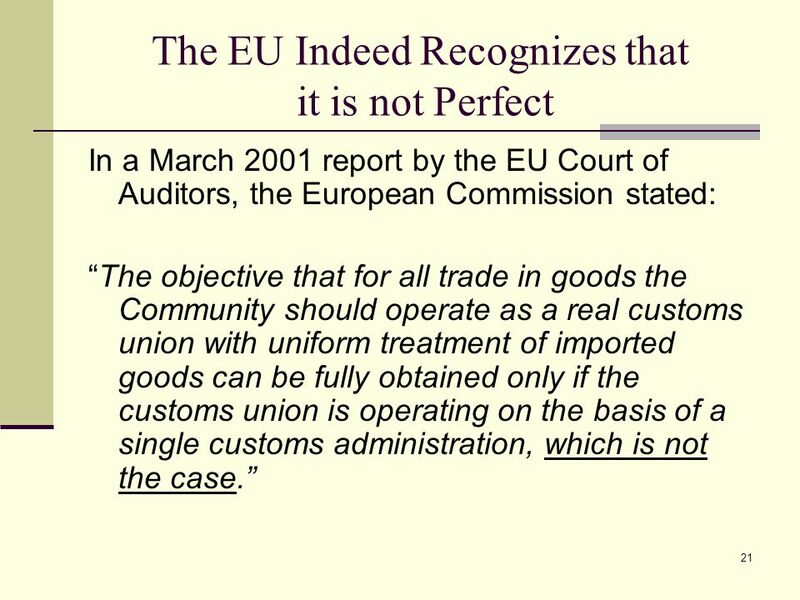 In a March 2001 report by the EU Court of Auditors, the European Commission stated: “The objective that for all trade in goods the Community should operate as a real customs union with uniform treatment of imported goods can be fully obtained only if the customs union is operating on the basis of a single customs administration, which is not the case.” EU institutions-including the Commission, the Court of Justice, and the Parliament- have routinely noted the lack of uniformity in the administration of EU customs law. For example, in its EU Court of Auditors, the Commission states, "The objective that for all trade in goods the Community should operate as a real customs union with uniform treatment of imported goods can be fully obtained only if the customs union is operating on the basis of a single customs administration, which is not the case." 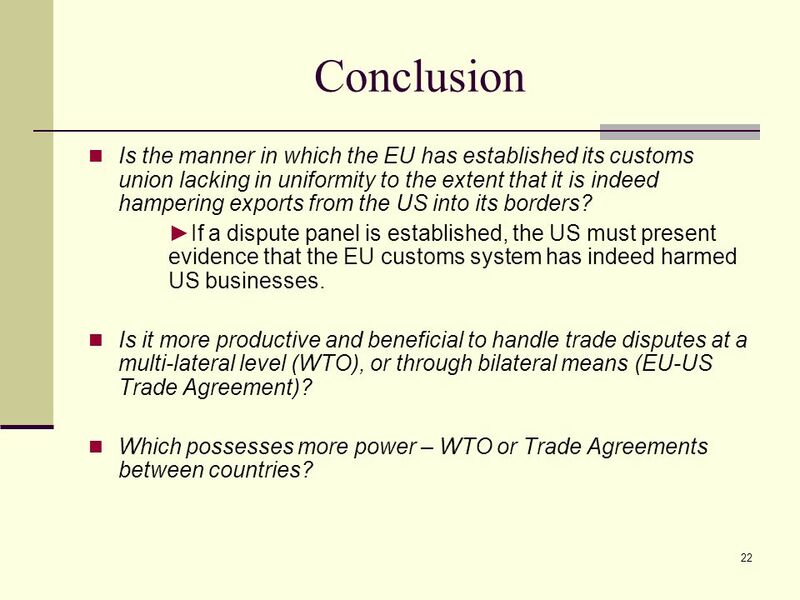 22 Conclusion Is the manner in which the EU has established its customs union lacking in uniformity to the extent that it is indeed hampering exports from the US into its borders? ►If a dispute panel is established, the US must present evidence that the EU customs system has indeed harmed US businesses. Is it more productive and beneficial to handle trade disputes at a multi-lateral level (WTO), or through bilateral means (EU-US Trade Agreement)? Which possesses more power – WTO or Trade Agreements between countries? Is the manner in which the EU has established its customs union lacking in uniformity to the extent that it is indeed hampering exports from the US into its borders? ►If a dispute panel is established, the US must present evidence that the EU customs system has indeed harmed US businesses. Does the US have a case that US businesses are actually being seriously harmed by the manner in which the EU handles its customs arrangements? Is it more productive and beneficial to handle trade disputes at a multi-lateral level (WTO), or through bilateral means (EU-US Trade Agreement)? If something can be resolved at a level below that of the WTO, should it be attempted rather than log-jam the WTO Dispute Settlement system? Which possesses more power – WTO or Trade Agreements between countries? 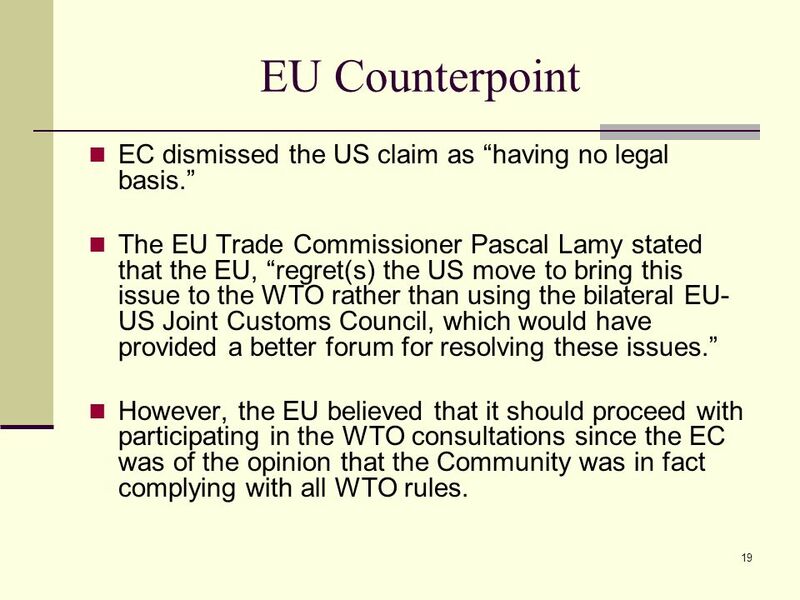 And just because the EU customs system is different than that of the US, is that enough of a legal basis for the US to have an issue to be resolved by a WTO dispute settlement body---and win? --As of April 18, 2005, a dispute settlement body had not been established though the establishment of one was officially requested by the US on January 14, 2005. 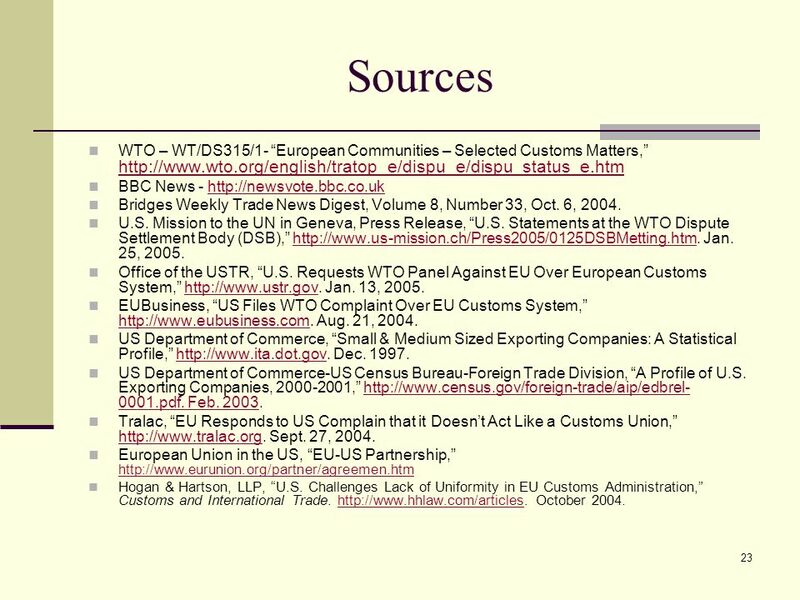 23 Sources WTO – WT/DS315/1- “European Communities – Selected Customs Matters,” BBC News - Bridges Weekly Trade News Digest, Volume 8, Number 33, Oct. 6, 2004. U.S. Mission to the UN in Geneva, Press Release, “U.S. Statements at the WTO Dispute Settlement Body (DSB),” Jan. 25, 2005. Office of the USTR, “U.S. Requests WTO Panel Against EU Over European Customs System,” Jan. 13, 2005. 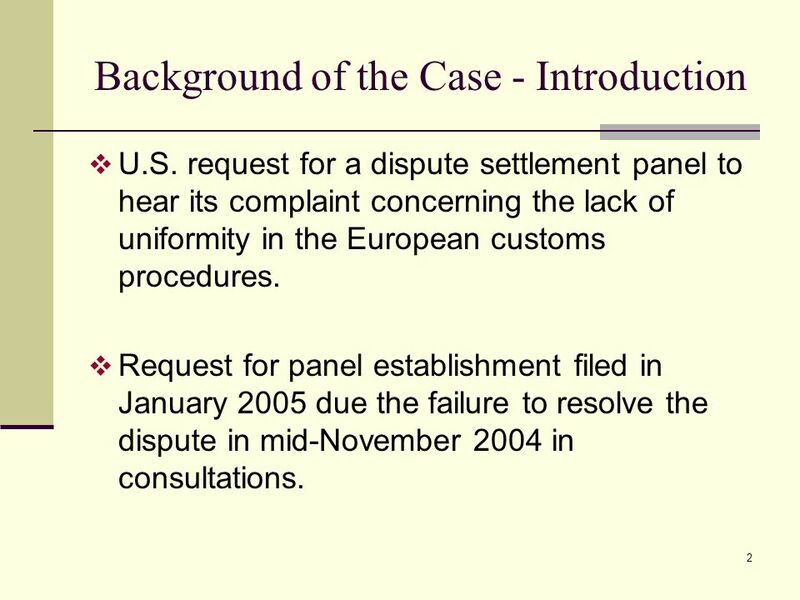 EUBusiness, “US Files WTO Complaint Over EU Customs System,” Aug. 21, 2004. 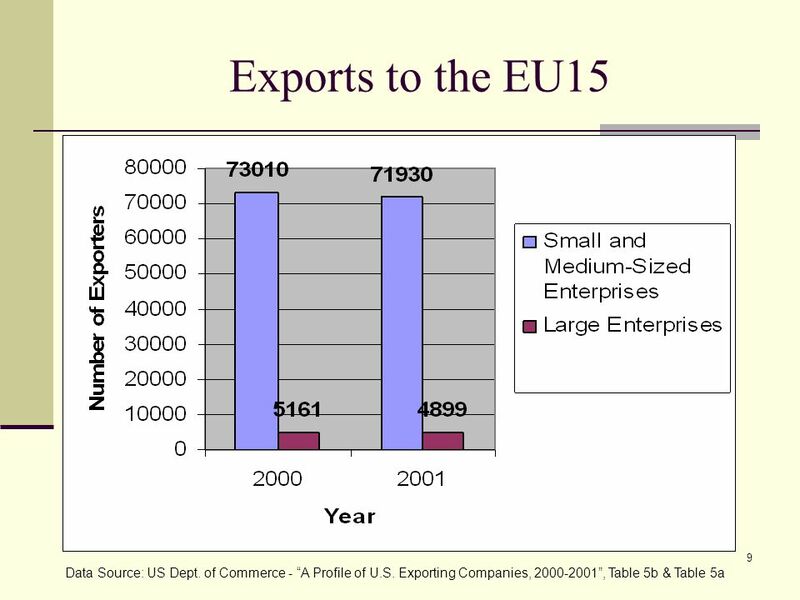 US Department of Commerce, “Small & Medium Sized Exporting Companies: A Statistical Profile,” Dec US Department of Commerce-US Census Bureau-Foreign Trade Division, “A Profile of U.S. Exporting Companies, ,” Feb Tralac, “EU Responds to US Complain that it Doesn’t Act Like a Customs Union,” Sept. 27, 2004. European Union in the US, “EU-US Partnership,” Hogan & Hartson, LLP, “U.S. Challenges Lack of Uniformity in EU Customs Administration,” Customs and International Trade. October 2004. 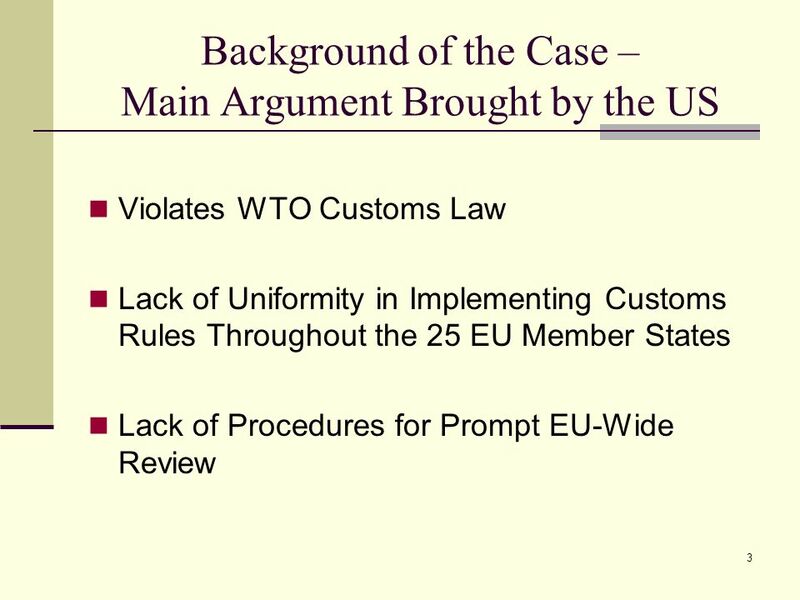 Download ppt "US Complaint Over the EU Customs System." 1 European Commission Taxation and Customs Union European Commission Taxation and Customs Union. Principles of interaction between National Customs Agency and National Veterinary Service Anelia Angelova Head of Tariff Policy Directorate. 1 Enforcement Powers of National Data Protection Authorities and Experience gained of the Data Protection Directive Safe Harbour Conference Washington. MAKERERE UNIVERSITY DIRECTORATE OF INTERNAL AUDIT ACCOUNTABILITY SYSTEMS AND PROCESSES RIDAR HOTEL SEETA 16 TH – 18 TH JUNE 2011 Presented by SAMUEL NATWALUMA. PERSPECTIVES OF THE COMMON BALTIC ELECTRICITY MARKET Prof. Inna Steinbuka, Chair, Public Utilities Commission, Latvia The Institute of Economic Affairs. Dr. Jürgen Brandstätter Presentation for the Balkan Legal Forum Sofia, 15-17/09/2004 IP IN THE NEW/FUTURE MEMBER STATES WHAT THE EUROPEAN COMMISSION SAYS. Worldwide Symposium on Geographical Indications Parma, June International Registration Burkhart Goebel Partner, Lovells, Madrid Chair of the INTA. 1 EUROPEAN UNION LEGISLATION AND ITS IMPLEMENTATION IN THE UK.